MOLLOY, Francis Joseph - Peacefully at home on Saturday, December 9, 2017, with faithful friend Wendy by his side. Frank, in his 63rd year. Predeceased by his parents Victor Edward Molloy and Gertrude Mary Molloy (nee Thornley). Loving father of Cheryl Turpin (Gary) and the late Christopher Molloy. Dear step-dad of Dawn Reid. WROBLEWSKI, Elizabeth (nee Martynek) - It is with heavy hearts that we announce the sudden passing of Elizabeth Wroblewski. With her family by her side she passed away peacefully on December 9, 2017. Elizabeth of Oshawa/Courtice, beloved daughter of the late Zofia and Jan Martynek. PURCELL, Mary Frances (nee Feeney) - With saddened hearts and loving memories the family announces that Mary Purcell died peacefully at the break of dawn on Saturday December 9, with her two daughters by her side. Predeceased by her husband Ted (in 1982) and by her parents and three brothers. Don McQuay passed away peacefully at Fairview Lodge, Whitby on Saturday, December 9th, 2017 with his family by his side. 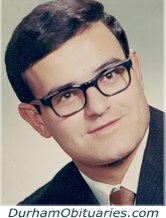 The youngest child of the late Dr. Robert and Helen (nee McCullough) McQuay, Don was predeceased by his beloved wife Lois (nee Kidd) McQuay; brothers Jim (Nessie), Leonard (Alison), Francis, Norman (Jean), sisters Betty (Reid) and Mary (Jack); parents-in-law Stanley Kidd, Aleen Kidd, and John Kidd; sister-in-law Audrey Hanna; and brother-in-law Don Kidd. LITTLE, Olive Little - (nee Gordon) Peacefully at Centennial Place on December 9, 2017 in her 95th year. Beloved wife of the late Roy Little. Loving mother of Carol Bailey (Wayne), Ross Little (Helen), James Little (Bonnie), Marie Dinner (Ron), Diana Neal (Dalton) and Lynn Scharfe (Donald). Loved grandmother of Shawn, Timothy, Bonnie, Jamie, Mark, Sherry, Heather, Suzette, Angela, Michael, Erik, Crystal, Alicia, Chantel, and great-grandmother of 16 and great-great grandmother of 1. 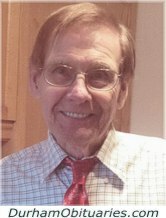 FLEWWELLING, John Edmund - Peacefully went to be with his Lord and Saviour at Sunnybrook Health Sciences Centre, Toronto on Friday, December 8th, 2017, John, in his 94th year. 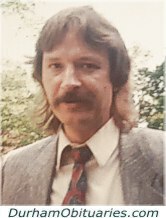 Beloved husband of the late Grace Flewwelling. Loving father of Shirley and husband David Nortcliffe, Doris Flewwelling, Nancy and husband Steve Buzzell and Sandra and husband Don Wright. Devoted Grandpa to Andrew, James, Heather, Patricia, Jodi, Jenalee, Benjamin, Timothy and the late Jesse. JOZKOSKI, Stella Josephine 'Tossy' (nee Hrycanuk) – Peacefully with Nancy and Lisa by her side on Friday December 8, 2017 at her home in Oshawa in her 83rd year. 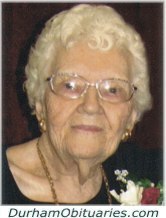 Stella, beloved wife of the late Henry Jozkoski (2004). Passed away peacefully at The Village of Taunton Mills surrounded by his close-knit family on Friday, December 8th, 2017 in his 95th year. Beloved husband of Jean for over 67 years. Loving and proud father of Suzanne, Beverly (Brian), Kevin (Lesley) and Brenda. Pop to 10 grandchildren and 10 great grandchildren. 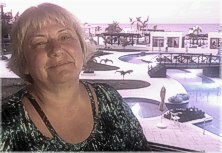 MATHEWS, Lorraine Jean Mathews - Passed away unexpectedly after a brief illness on December 8, 2017, surrounded by family at Lakeridge Health Oshawa. Predeceased by her husband Alan Mathews, Lorraine will be missed by her children Ralph Watts (Heather), Vicki Skinner (Michael), Steve Sawyers (Anne), Glenn Mathews (Bonnie) and Mark Mathews (Sue). Proud grandmother of Sam (Crystal), Trent, Stevi-Dawn, Kirk, Darren (Kendra), Tyler (Stephanie), Holly, Graham and great grandmother of Mia Dawn and Arielle. It is with great sadness that we write of the passing of Clifford Hayes at age 88 on Friday December 8, 2017, at Lakeridge Health Oshawa. 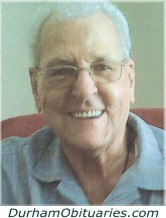 Cliff died peacefully with family at his side. 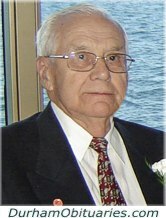 Clifford was the beloved husband of Lorna Hayes (nee Miller) for 63 years, and father to Blaine, Philip and wife Cindy, Janet, and Carol and husband Chris. 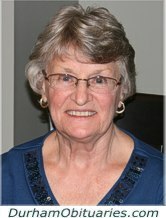 COCHRANE, Eva - It is with great sadness that the family of Eva Cochrane (nee Berger) announces her passing on December 8, 2017 at Lakeridge Health Oshawa in her 74th year. 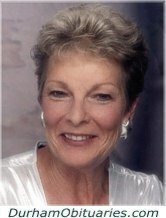 Lovingly remembered by her son David (Tanya) and her grandchildren, Elliott and Clare. Predeceased by her son Stephen. She will be sadly missed by her extended family and friends. 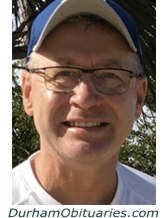 REILLY, Lorne Mac - at the Ross Memorial Hospital, Lindsay on Friday, December 8, 2017. 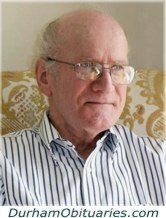 Lorne Reilly of Cannington was the beloved husband of the late Muriel Alice (Jex) Reilly. 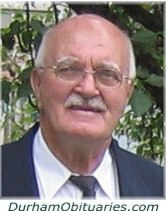 LEOCI, Donato “Don” – Suddenly on Tuesday December 5, 2017 at his home in Oshawa at the age of 70. Don, beloved husband for 45 years of Teresa Leoci (nee Mendicino). Much loved father of Mike Leoci (Bobbi Jo Elliott), and Donna Leoci (Jamie Park). Proud Nonno of Daniel, Maddalena and Justin. Thanks for the care from Dr. J.Barrettara, and special thanks to Constable Joylene MacNeil for all her help. Don will be deeply missed and remembered with much love by all his family. MAGEE, Leslie – Passed away peacefully at Lakeridge Health Oshawa on Demember 7, 2017 at the age of 97. Predeceased by his beloved wife Myrtle May and his daughter Patricia May. Survived by his daughter Barbara and her special friend Kevin.Proud Papa to 3 grandchildren and 6 great grandchildren. Along with his many accomplishments, Leslie was proud to have served in WWII and was a long-time member of the Canadian Corps. 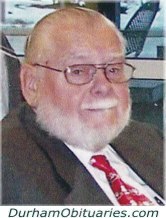 He spent many enjoyable years working for both the Durham Board of Education and Robinson Lang as a leather maker. After a long battle with Alzheimers, she was called to her Heavenly Home to be with her Lord & Saviour on Thursday December 7, 2017. Dear mother of Lloyd (Marg), Fred (Marian), Jeanette (Art) Boekee and John (Tanya). Loving grandma of Jason, Stephanie, Michelle, Sharon, Melissa, Jonathan, Heather, Janita, Scott, Kara, Nicole, Mark, Kyra, Isaya and Hailey and her 13 great-grandchildren. Passed away peacefully at her home on Thursday, December 7, 2017 in her 87th year.